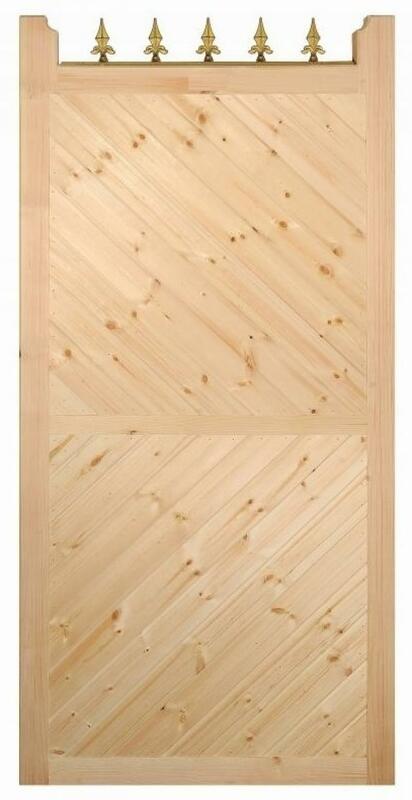 Visually appealing wooden gate in a timeless style. Available to order in a range of sizes. Designed to create a highly individual look to any front entrance or access point around your home and garden the Parquetry Tall Wooden Side Gate is simply beautiful. Constructed in the UK by a team of skilled craftsmen the gates feature a sturdy mortise and tenon jointed framework with inset diagonal boards coupled with eye catching fleur de lys metal finials across the top rail to create a magnificent overall appearance whilst retaining an affordable price. Eye catching wooden side gates will add privacy and security to any residential entrance. Mortise and tenon jointed framework provides added strength and rigidity. Supplied untreated as standard ready to be painted or stained prior to installation. Hinges and fixings for the Parquetry wooden side gate are sold separately. View the standard sizes we have for sale online using the drop down menu at the top of the page. 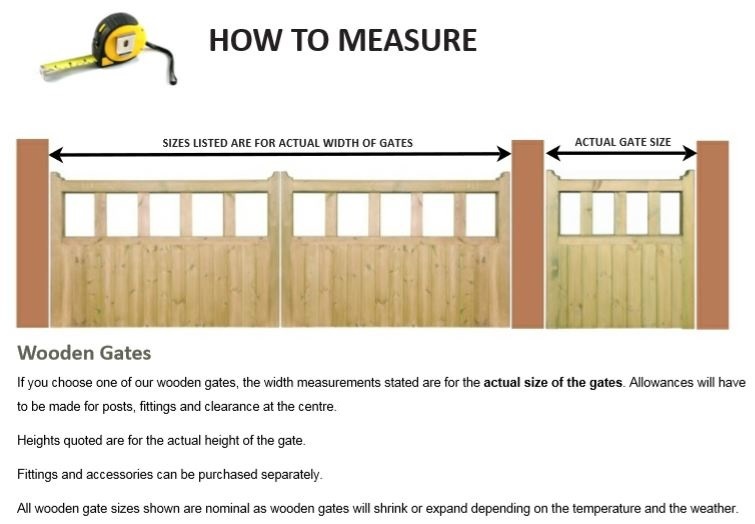 Please be aware that the sizes stated refer to the physical width of the Parquetry Wooden Gate. This means we have made no allowances for the space you will need for the hinges and latch nor does it include any additional space required for timber posts. If you do not know what size to order please contact us now. Require further assistance prior to placing an order for the Parquetry Side Garden Gate design? Feel free to contact Garden Gates Direct now by calling 0844 804 5577 or simply send us a message here. Alternatively email your enquiry to sales@gardengatesdirect.co.uk and we will be on hand to send you a reply as soon as we can. To save you time we also have lots of useful advice pages within our online store so why not take a look at the FAQ`s, ordering guide or buying guide to see if your queries can be answered there. If you are a novice diyer and need help with installation we suggest you refer to the pages detailed below. Do you need posts or fittings? To aid with installation of the Parquetry side gate we are able to offer you the following items. If you do not know what to order, need help with sizes or have a question that would like answering please call us on 0844 804 5577 or email sales@gardengatesdirect.co.uk and a member of staff will be on hand to discuss your options and provide support.